Dry, chapped lips are the bane of my existence. Year round my lips tend to be dry and chapped, making putting on lipstick without it settling into cracks or lines. With all of the matte liquid lipsticks coming out recently, that I am a huge fan of, soft lips is a key to any good lip look. 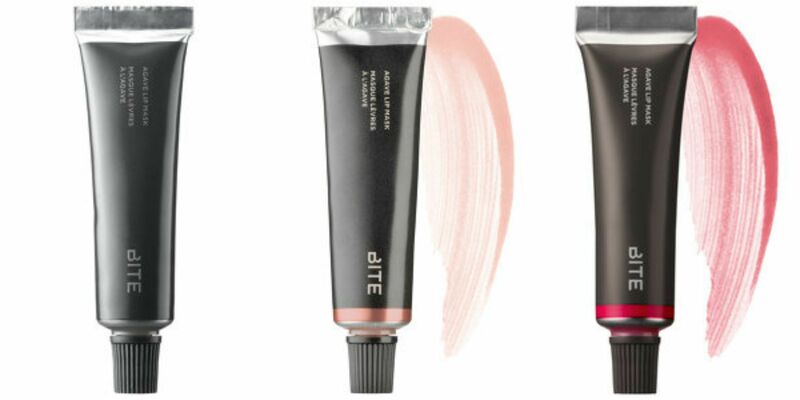 There are many high end lip treatments out on the market that people rave about ranging from the Fresh Sugar lip balms to the cult favorite DIOR Creme de Rose lip balm. Yet, are any of these worth the price point or are they just over priced chapsticks? Today, I am just going to talk about the Bite Beauty Agave Lip Mask with a price point of $26 at Sephora. This lip mask is made with agave nectar and jojoba oil, making it decadent treat to replenish moisture in your lips. There are currently three different versions of this lip mask out right now: The Original, Champagne, and Smashed Berry. The only difference between the three is that two of them are tinted lip balms, although they are meant to be warn at night. 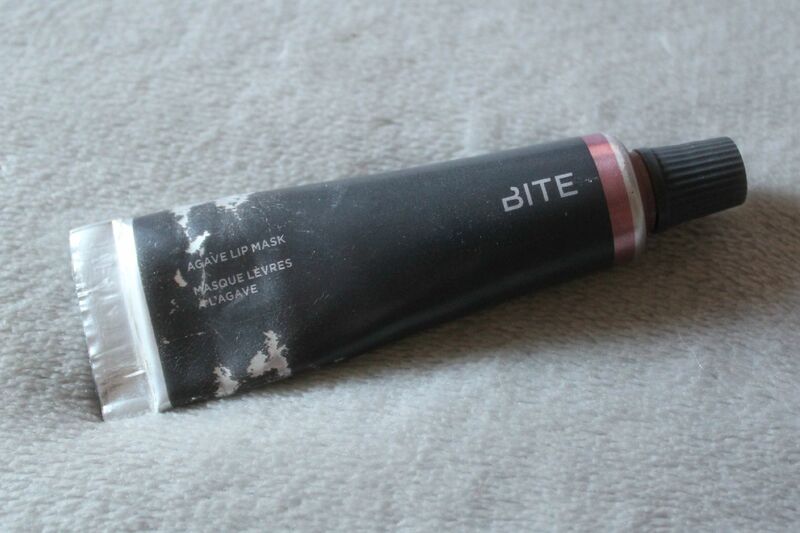 I have been using the Bite Beauty Champagne Agave Lip Mask for some time now, so I have gotten a decent feel on the product. It is a very thick, sticky consistency that was a little off putting to put on right before I went to bed. I always felt that my hair was constantly stuck to it, and I’d wake up still feeling that this was rather sticky, even though my lips were smooth. As far as moisturizing goes, it got the job done and it did it really well. I’ve never had dry chapped lips while using this, but I always felt it was too heavy on the lips as well as messy. I found it comparable to the Aquaphor Lip Repair that you can find at in the drugstore for about $4, and to be completely honest I prefer my Aquaphor lip balm to this Bite Beauty one. The Aquaphor is more silky smooth, works almost immediately, and isn’t thick or heavy on the lips. Bite Beauty doesn’t mix well with others, it is best as a treatment, but I have used my Aquaphor lip repair under liquid lipsticks as well as on top of pairing seamlessly. Definitely not! You can skip this useless high price point lip treatment, and go grab yourself an Aquaphor Lip Repair immediately! Although since I have it, I do plan to use it every night to keep my lips soft and smooth, but once it is gone I won’t miss it. Filed under Worth It Wednesday, Worth it? Tagged as agave, Agave Lip Mask, bite, Bite Beauty, Lip Balm, Lip Mask, Lip Treatment, review, Worth it? 4/28 💖 Avatar Day - OUR day! For 3 years I’ve been your wife and been able to call you my husband. I’ve grown to love you more than I thought to be fathomable, so much so I’m surprised my heart doesn’t completely burst out of my chest. I would marry you again, and again and again and again. I love you so much my proud saiyan prince. • Sometimes it’s funny for me to think a friend request so long ago turned into the most random friendship, then grew into becoming best friends full of inside jokes and confiding in each other, then we caught the feelings and everything snowballed from there. So here we are.